AidelMaidel tagged me to do this "I can" list. It's basically a list of things I can do, all written within 15 minutes. take an elevator all by myself!!! I am not officially "tagging" anyone, but if you want to do your own "I can" list, guess what? YOU CAN! Yaakov: Is that Anderson Cooper? Me: Yeah, and I don't like him. He's too gevurahdik. Yaakov: He looks like a metrosexual. Me: Did you just say that? Giuliani also dropped out. That was a good move for him and his health. If McCain wins the primaries, I definitely think he'll choose Rudy as his running mate. I think Huckabee and Ron Paul should give it up, too. Let's face it, folks. It's gonna be Obama vs. Clinton, and McCain vs. Romney in the end. I used to feel very strongly that Hillary was going to win the primaries, but I'm not so sure now. Obama has all this support from people who are enchanted by his "aura of change." He has momentum and magic, a presence. I don't think people are so crazy about Hillary right now, or her husband. People want change, and she represents Washington politics as usual. To my understanding, CNN is sponsoring the Republican debate tonight and the Democratic one tomorrow. And you know what that means: live internet feed! That also means yours truly has two nights of entertainment booked. p.s. I totally forgot the McCain-Lieberman connection. Maybe he'd choose Joe instead? That would round out his ticket for more moderate voters, I guess. Today I took an elevator all by myself. Twice! Normally, if I have to use an elevator, I call Yaakov and talk to him the entire ride. But today, I gussied up the courage and did it alone. Both ways. I won't say that I wasn't scared, because I was - terrified. But I did it. Last night's Republican debate was sponsored by MSNBC, so Yaakov and I got to watch via live internet feed. As you may know, I find politics interesting and entertaining. Mitt Romney was a polished speaker. I admired how he held his ground when questioned about personal monies being spent on his campaign. I disagreed with his assessment of Hillary Clinton, however, that she was "out of touch" with the American people. Plenty of people like her, so she must be in touch with somebody. John McCain doesn't interest me one way or the other. He likes to name-drop his supporters, which he did. Twice. Not impressed. Rudy Giuliani answered some tough questions with humor and grace, which earned my admiration. I like how he said that he was planning on making a come-back, like the NY Giants. Ron Paul was his usual self. I cheered his adamant "NO," when asked whether the current war was a good idea. He's the only Republican to have consistently voted against the Iraq war. I admire his radical underdog status. Mike Huckabee delivered 3 or 4 funnies, which I like about him. I also like how he stood firm when questioned about his faith. He has HUGE ears. And I still think he resembles Richard Nixon. Ok, fine. But still. I mean, Noach and the Teiva? Yona in the fish's belly? You could go on and on with the bizarre and irrational stuff found in Yiddishkeit. I don't find my incredulousness out of order, I think it's a common dissonance. Besides, there's an idea (which I've blogged about), that "a Jew is above reason." Once you start getting into issues of faith, a Jew goes beyond logic. I lump all Jewish weirdness into that category. So Mitt, if you want to believe in Joseph Smith and his golden plates, gezunter heit. I believe in some strange stuff, too. It's the second day of school vacation, and we're all housebound since 2 of the kids have fevers. I'm sick of everybody being sick! Is my house not clean enough? Am I not feeding them well enough? Why is everyone constantly sick with something? Yaakov took down all our mezuzos to get checked - there's a concept that flawed mezuzos can lead to household calamities. Nope, the mezuzos were all kosher. I am trying hard to make sure they eat a little better. I'd also like to put them on immune boosting vitamins. I was asked to make a sheva brocha on Thursday night, but I had to say no. With this new wave of sickness going around here, I don't think I can pull it off. In other news, it's tu b'shvat, the "birthday of trees." The rebbe said that just like trees constantly grow, so we too can grow in torah and mitzvos. So with G-d's help I can "grow" better, and take care of my little seedlings, too. Zalman had this scab on his finger, and all around its circumference it was red and puffy. I was concerned, and wanted to take him to the pediatrician. Yaakov said, "it's nothing, all kids get boo-boos." He had the red, puffy boo-boo for about a week and I kept my eye on it. Last Monday night I looked at it, and it had turned yellowish-green around the scab. "Tomorrow I am taking him to the doctor," I told Yaakov. "It's infected, and I'll bet he's going to put him on antibiotic." Yaakov waved me off. 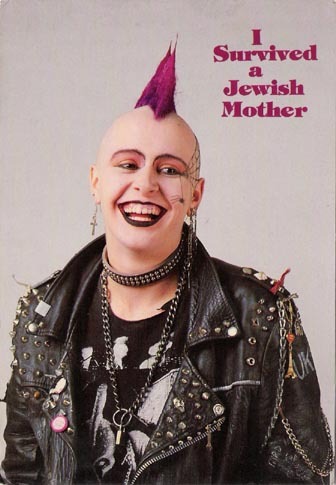 Erev shabbos I got a phone call: "Mrs. Maven? It's Dr. B. Your son has a staph infection." If I tell you my heart stopped at that moment, I would not be exaggerating. A staph infection? How did that happen? He went on to explain it was MRSA. He explained how the antibiotic he had given me (Augmentin) is composed of 2 different components. The staph would NOT have responded to one (amoxicillin). He said potentially, staph could respond to the other (clavulanate potassium). I could hear the gravity in his voice: we got lucky. He switched Zalman to Bactram (an antibiotic more suited for staph) and we wished each other a gut shabbos. So far, he's had 5 doses of the Bactram, and Baruch Hashem, his finger looks good. Dr. B is very pleased. I could not help but think of a saying attributed to Rebbe Nachman of Breslov: "If we only understood how at every moment it's as if we are literally drowning. We don't realize how G-d is constantly saving us..."
Yaakov has been working late into the night and I am busy all day long. I haven't gotten the chance to blog, or sort out my thoughts coherently. Ironically enough, I'm blogging now (erev shabbos! ), when I have so much to do. We've had a lot of health issues in the Maven home, including another case of the infamous "poops." We have a scarier issue, but I'm not ready to write about it yet. Maybe when things are all clear, I'll feel comfortable sharing. Chess wizard Bobby Fischer died. He was Jewish, a fact he never consciously internalized. Of course, his soul knew, and likely cringed every time Bobby spewed his anti-semitic garbage. Now his soul is free from the body that refused to acknowledge it. Mazal tov to the neshoma of Bobby Fisher! The presidential race rages on, a source of great entertainment. If I had a TV, I'd be glued to it. I have to read and watch political clips online. One of you commented about Ron Paul, how he's supported by white supremacists. I have read more about this, and find it intriguing. (I heard David Duke called him "his god.") Ron Paul is radical, and I think he appeals to their radical weirdness. Of course, he has people of all colors and beliefs supporting him. He won't win, anyway. I heard a political commentator call him "the weird uncle who needs medication," and I think that's comically accurate. By the way, am I the only one who thinks Mike Huckabee looks like Richard Nixon? Our health insurance has been going through all kinds of craziness. First, Yaakov's work tells him they are switching to insurance x as of January 1st. Then they switch to insurance y, only to give us our paperwork 12 days into the year. Then they tell us they are, in fact, switching to insurance x, and then send us a new policy from insurance y! Needless to say, this is frustrating. Yaakov says the people handling the health insurance are retarded. My brother is living in Jerusalem with his long-time American girlfriend. They went to some protest rallies when President Bush was visiting. It's amazing hearing about his life and seeing the pictures. I miss them both. On Monday, my kids start a week of school vacation. I both dread and anticipate this. Anyway, I hope you're all well out there. I wish you a gut shabbos and a great weekend! This trip was his best one ever. He wasn't gripped by mania, and he wasn't totally depressed. He was on an even keel: warm, silly, talkative. He was generous with his time and money, and excellent with the kids. He kept telling them all these crazy things, that he was from "Gung-Gung Land" or Rhodesia. He told them all the funny things they did in those places, like eat berries all day or live in trees like the monkeys. He gave the kids stickers and let them put stickers on his face. When it was time to go out, I'd gently remind him about the stickers. "I don't care," he'd shrug, and off we would go. Gung-Gung in his pink, jeweled beret with stickers on his face. He took himself off all his meds, and is eating a very healthful diet ("The way the 7th Day Adventists eat," he informed me). He's exercising a lot. At every free moment, he was working with his resistance bands, or marching in place, or doing yoga. Now I'll bet you might be thinking, "I dunno - sounds pretty manic to me." And maybe for a normal person, his behavior would be. But knowing how batty Dad can really get, he was downright tame. On the last day of his trip, he was heading off on a cruise to the Bahamas. He wore a sailor hat, and one of his navy-issued button downs. Underneath was a shirt that read, "I'm smiling because I have no idea what's going on." So, the news I was hoping to share in a couple of months was that we were buying a house. Such a house! New bathrooms, wonderful backyard (with a swing-set that came with it), lots of space. Beautiful laundry room, all tile and wood. Big spacious kitchen. Plus, Yaakov and I both liked it! There are currently tenants there. When we spoke to the seller's agent, he said the owner had given the tenants first rights to buy the home. Fair enough. The owner told the tenants a year ago he wanted to sell, and the tenants weren't interested. "Aha," said cynical I. "What if the tenants suddenly decide to buy, once someone makes an offer?" The agent reassured me that the seller wouldn't play that game. "Once he's in contract with someone, that's the end. The tenants know they have to move." Alrighty, then. We negotiated a price and were "in contract." We had to go back and forth a little bit to get all the details settled, and finally they were. We started arranging the formalities. Termite check, house inspection, roofer - all coming early next week. All along I had this feeling that something was going to go wrong. Somehow, the tenants living there were going to usurp the contract. "No way," Yaakov said. "Don't worry about it," Mom said. I dunno - I know plenty of people in contract with houses where the contract fell through. But that wasn't going to happen to us, I was assured. Today, Yaakov called. "You want the good news or the bad news?" My heart sank. I just knew what was coming. "Bad news first," I answered. "The bad news is, the tenants are refuting the contract." I somehow expected this, but was stunned nonetheless. What could possibly be the good news? "The good news is, we weren't so far into the deal." Well, I guess so - only three weeks. But my heart and soul were already there. That was the only thing keeping me going as I scrubbed poop out of carpets. "Don't worry," sang my heart. "You'll be leaving this all behind." I feel the way this went down was terrible. The tenants infuriate me. The house was offered to them a year ago. All of a sudden, NOW, they want to pull this crap? After the seller puts a sign up and someone makes an offer? Apparently, they have legal recourse. It says in their lease they have the right to refuse a sale, if they can come up with the financing themselves. But still! Everybody involved is Jewish, but I feel the way this is happening is not. What makes me even angrier is that I tried to do the right thing. The people living there just had a baby, and I told Yaakov I wasn't going to force a post-partum woman out of her home. I wanted to make sure we negotiated a contract that would give her enough time. I spoke to a mashpia, and made sure the time we arranged would be fair. So there's me, being a mentsch, and there's them, being jerks. I mean, is it just me? Does this situation sound wrong to you? And I hate feeling so angry towards other Jews. There's a part of me that desperately hopes they don't get a mortgage. I don't want to feel like that, but I feel so betrayed. I feel like they pulled a dirty trick, I really do. Right or wrong, that's how I feel right now. I started crying tonight. Yaakov was rationalizing it all to me, trying to explain it from the tenants' perspective. I was furious. I felt like he wasn't giving me the space to mourn, that he was taking their side, and invalidating my feelings. We got into a terrible fight. These past few weeks have been so stressful for us...between this house, Yaakov's job, and our insurance changing, it's been awful. And I only told my mother and brother about it, so I didn't have support from my friends. The bright spot was, we were going to leave this loathsome house. I clung to that with mighty vigor. But now, that's gone too. The lawyer involved said, "I guess it wasn't bashert."